There’s always plenty to do when you’re on St. Simon’s Island, whether you enjoy taking a bike ride, relaxing at the beach, or throwing a line in. Over the next month there are a few activities that have the island hopping, so check out St Simons Island real estate and set aside a few days to check out the latest upcoming events. This annual event is in its 4th year, and will be held October 25th and 26th. Hosted by Paddle and Putt, this event is gaining in popularity each year. 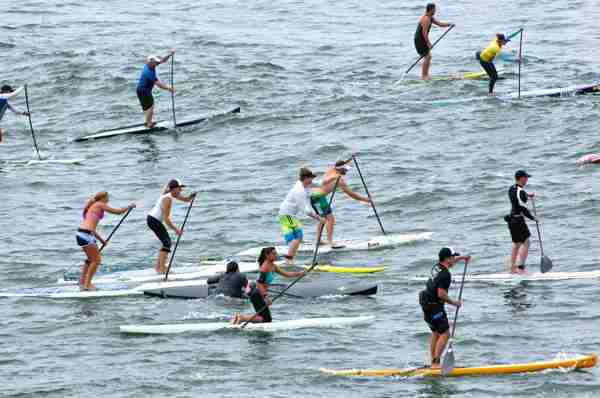 It is now Georgia’s largest open ocean paddleboard race so come and see what all the talk is about! Proceeds will go to the CURE for Childhood Cancer. If you love to flip through the home magazines and are a fan of HGTV, you will definitely want to check this out. From October 30 – November 24, you can check out the 2013 Southern Living Showcase Home on the north end of the island. The three bedroom cottage is being built on a lakefront lot and you can walk through and see all the features that Harrison Design Associates included in this phenomenal house. Golf fans will want to visit St. Simon’s Island November 4 -10, 2013 for this annual stop on the PGA tour. In addition to the regular golf events, there is a Wiffle Ball Classic with the players and wives at Frederica Academy Baseball Field, a Toby Keith concert, and special days and activities to honor youth and the military. If you’re coming for any of these events, contact us for lodging information. And while you’re here don’t forget to allow yourself time to explore all of this beautiful, scenic island.